We are delighted to announce that Geophysical Insights will be the hosting sponsor for the second annual Oil & Gas Machine Learning Symposium, which is now open for abstracts. The 2018 Oil & Gas Machine Learning Symposium was a huge success as it hosted thought leaders from E&P companies, consulting firms, and large technology companies. This year’s Symposium will be even larger and more impactful. With a focus on geoscience, reservoir characterization, and technology, the Symposium will highlight developments in Machine Learning, Data Analytics, Cloud Computing, and the Industrial Internet of Things (IIoT). Together, technologies are enabling the Digital Transformation of the energy industry, starting upstream where hydrocarbons are found and monetized. For more information on the 2019 Oil & Gas Machine Learning Symposium, Click Here. Join us at URTeC 2019 hosted by SPE, SEG, and AAPG from 22-24 July 2019 where Carrie Laudon will be presenting “Machine Learning Applied to 3D Seismic Data from the Denver-Julesburg Basin Improves Stratigraphic Resolution in the Niobrara” with Paradise software. Join us at the Boosting Reserves and Recovery Using Machine Learning and Analytics workshop hosted by the American Association of Petroleum Geologists on 16 and 17 January 2019 where Deborah Sacrey will be presenting “Finding Hydrocarbons and estimating reserves using Neural Net Classification and Geobodies” with Paradise software. Deborah Sacrey is a geologist/geophysicist with 41 years of oil and gas exploration experience in the Texas, Louisiana Gulf Coast, and Mid-Continent areas of the US. Deborah specializes in 2D and 3D interpretation for clients in the US and internationally. She received her degree in Geology from the University of Oklahoma in 1976 and began her career with Gulf Oil in Oklahoma City. She started Auburn Energy in 1990 and built her first geophysical workstation using the Kingdom software in 1996. Deborah then worked closely with SMT (now part of IHS) for 18 years developing and testing Kingdom. For the past eight years, she has been part of a team to study and bring the power of multi-attribute neural analysis of seismic data to the geoscience community, guided by Dr. Tom Smith, founder of SMT. Deborah has become an expert in the use of the Paradise® software and has over five discoveries for clients using the technology. Deborah is very active in the geological community. She is past national President of SIPES (Society of Independent Professional Earth Scientists), past President of the Division of Professional Affairs of AAPG (American Association of Petroleum Geologists), Past Treasurer of AAPG and Past President of the Houston Geological Society. 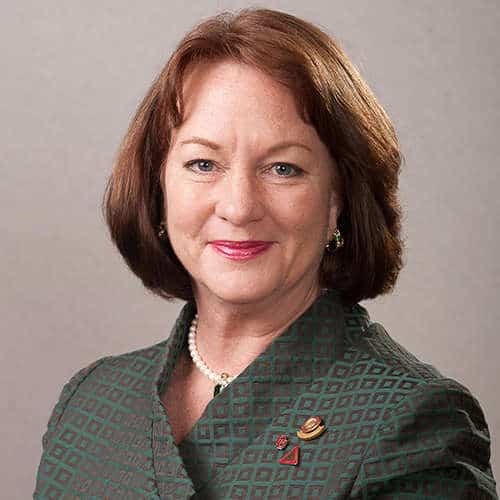 She is currently the incoming President of the Gulf Coast Association of Geological Societies (GCAGS) and is a member of the GCAGS representation on the AAPG Advisory Council. Deborah is also a DPA Certified Petroleum Geologist #4014 and DPA Certified Petroleum Geophysicist #2. She is active in the Houston Geological Society, South Texas Geological Society and the Oklahoma City Geological Society (OCGS). IVÁN DIMITRI MARROQUÍN is a 20-year veteran of data science research, consistently publishing in peer-reviewed journals and speaking at international conference meetings. Dr. Marroquín received a Ph.D. in geophysics from McGill University, where he conducted and participated in 3D seismic research projects. These projects focused on the development of interpretation techniques based on seismic attributes and seismic trace shape information to identify significant geological features or reservoir physical properties. Examples of his research work are attribute-based modeling to predict coalbed thickness and permeability zones, combining spectral analysis with coherency imagery technique to enhance interpretation of subtle geologic features, and implementing a visual-based data mining technique on clustering to match seismic trace shape variability to changes in reservoir properties. Dr. Marroquín has also conducted some ground-breaking research on seismic facies classification and volume visualization. This lead to his development of a visual-based framework that determines the optimal number of seismic facies to best reveal meaningful geologic trends in the seismic data. He proposed seismic facies classification as an alternative to data integration analysis to capture geologic information in the form of seismic facies groups. He has investigated the usefulness of mobile devices to locate, isolate, and understand the spatial relationships of important geologic features in a context-rich 3D environment. In this work, he demonstrated mobile devices are capable of performing seismic volume visualization, facilitating the interpretation of imaged geologic features. He has definitively shown that mobile devices eventually will allow the visual examination of seismic data anywhere and at any time. In 2016, Dr. Marroquín joined Geophysical Insights as a senior researcher, where his efforts have been focused on developing machine learning solutions for the oil and gas industry. For his first project, he developed a novel procedure for lithofacies classification that combines a neural network with automated machine methods. In parallel, he implemented a machine learning pipeline to derive cluster centers from a trained neural network. The next step in the project is to correlate lithofacies classification to the outcome of seismic facies analysis. Other research interests include the application of diverse machine learning technologies for analyzing and discerning trends and patterns in data related to oil and gas industry.